Trade offs in supply chains are everywhere. Cost versus quality. Margins versus customer satisfaction. But are you sure you’re seeing the complete picture? With Live Lens, you’ll finally be able to stop looking in the rear view mirror and start focusing on the road ahead. Gain the confidence you need to make the best decisions for your business with instant visibility into the most vital areas of your supply chain. Immediately see how you’re measuring up when it comes to key metrics like revenue-at-risk, projected inventory and gross margin. With so many ways to look at the data and make my decision, Kinaxis makes our entire analysis process easier, helps me in my day-to-day role, and lets me give complete, accurate results to management quickly. I couldn’t imagine not using Kinaxis. 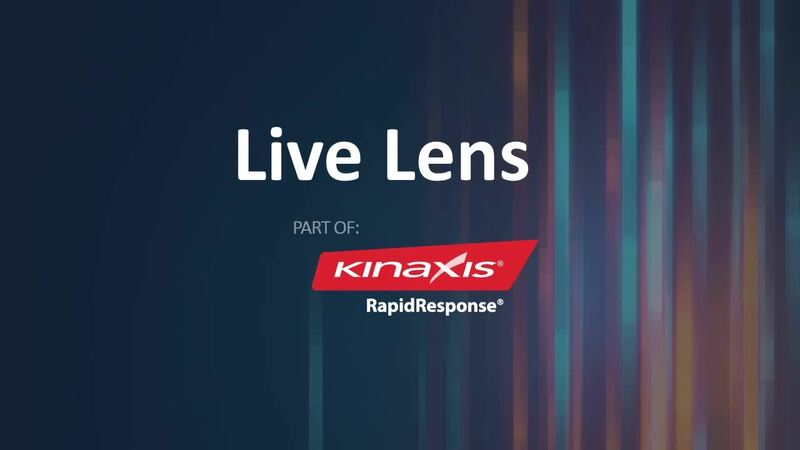 Kinaxis has fundamentally changed how we plan. We’re now able to manage and understand huge amounts of data and complexity easily. As a result, we’ve transformed our sales and operations planning (S&OP) processes to effectively collaborate with customers, evaluate financial tradeoffs and make confident business decisions.